American Cichlids kept in aquariums usually come from Central and South America. They are beautiful and hardy friends that can sometimes get rather large. When keeping Cichlids, knowing about your particular choice of species is key to their health. This family of fish is both interesting and beautiful. Cichlids, in general, are different from other fish because they have a second jaw, containing teeth for chewing, located in their throats. This allows them to eat larger food than normal for a fish their size. These Cichlids are found in rivers, streams, and lakes throughout the tropics of the Western Hemisphere. Many aquarium varieties are territorial predators, but most of the time their adult size dictates how much room in your aquarium that will claim as their own. Cichlids are usually kept in aquariums with other Cichlids, but some are suitable for tropical fish aquariums containing a variety of fish. Research your fish friends carefully or you may simply be feeding the biggest fish in the tank when you add smaller neighbors. American Cichlids will eat anything that they can get in their mouths! Having been in the fishkeeping hobby since 1945, Cichlids have been selectively bred into a vast array of ornamental aquarium fish. A budding aquarist can easily learn to specialize in this type of fish because they are hardy, easy to feed, and excellent parents when breeding. Below are some common American Cichlids. Check their profiles to learn more about making some new aquatic friends. This is a hardy and territorial fish, tolerant of a wide range of water conditions. Plucky and colorful, the firemouth is an interesting addition to your aquarium. Little Jacks grow up to be big colorful Jacks. Beautiful Cichlids that should be kept in pairs. Stunning fish that come in an array of color varieties. This impressive fish can get quite large and requires good filtration. For detailed information about American Cichlids, check out Wikipedia's Cichlid page. Do You Have A Favorite American Cichlid? We all have a favorite fish. Somewhere in your aquarium you have a fish that you are proud of. 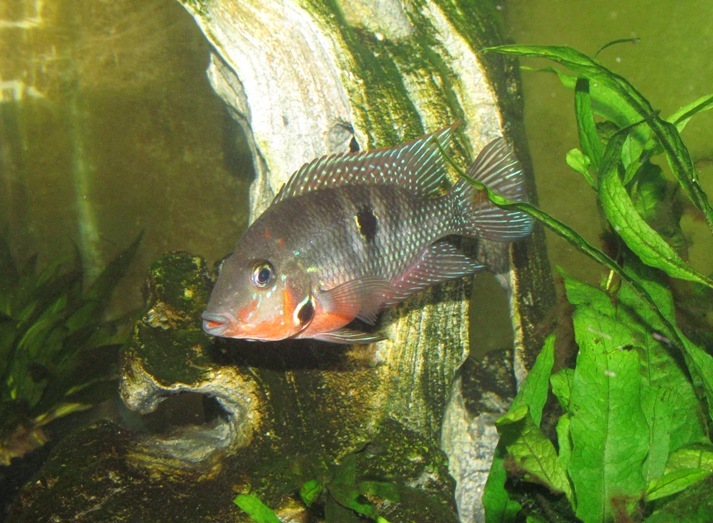 If you have a favorite friend that is an American Cichlid, take a picture and share a story about it with us.